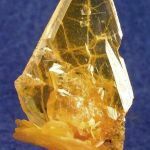 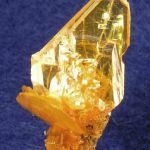 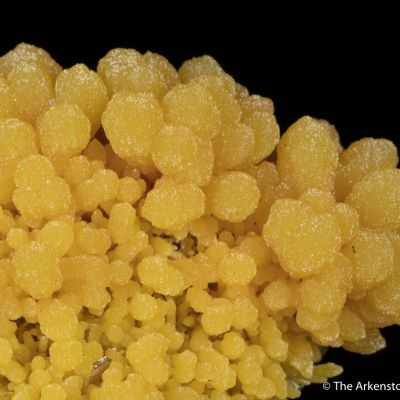 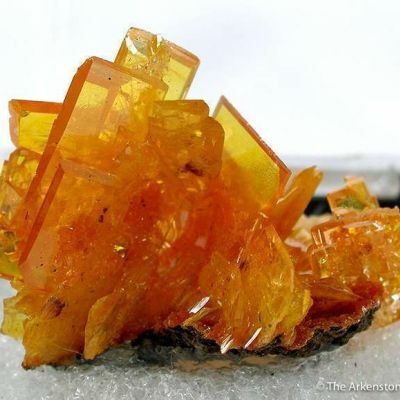 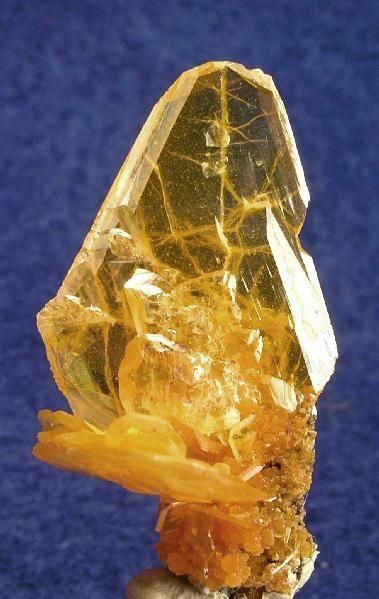 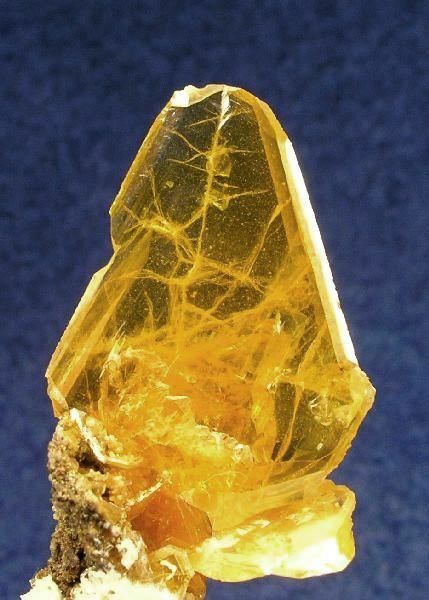 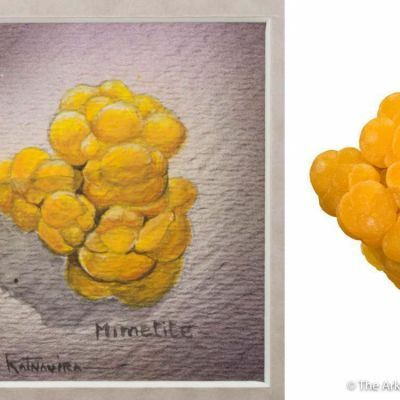 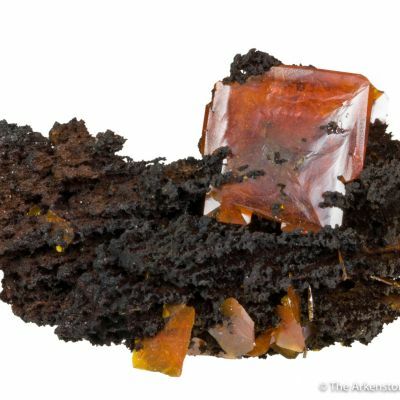 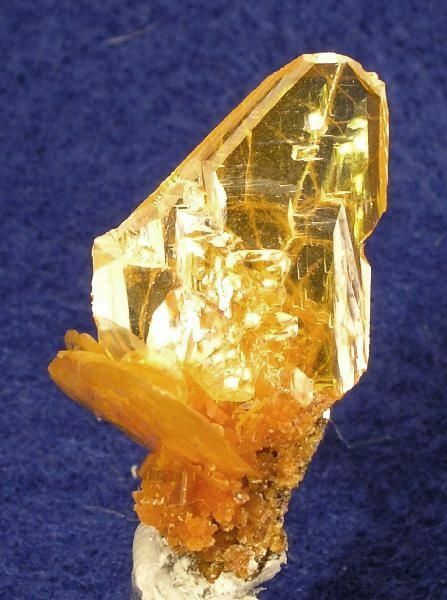 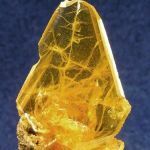 Transparent, lustrous orange-yellow windowpane Wulfenite from one of the world's best localities for the species. 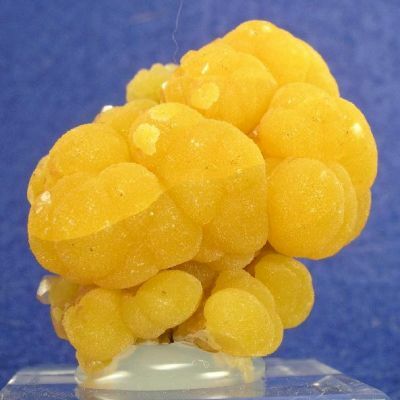 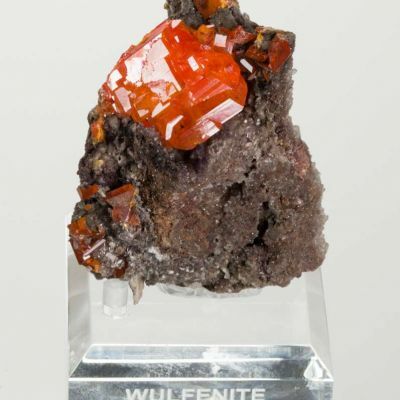 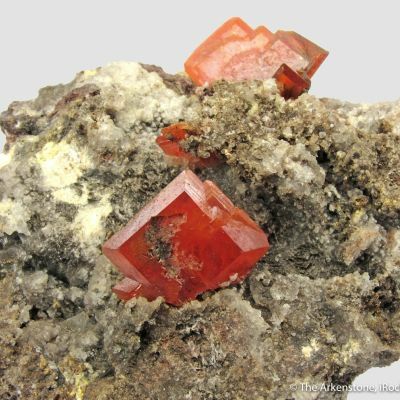 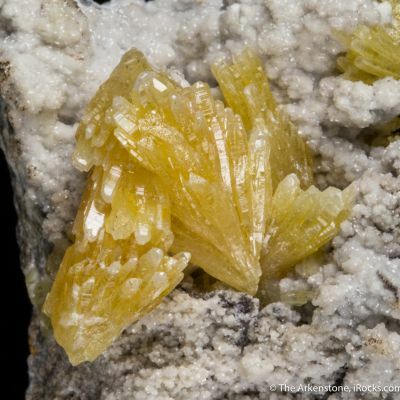 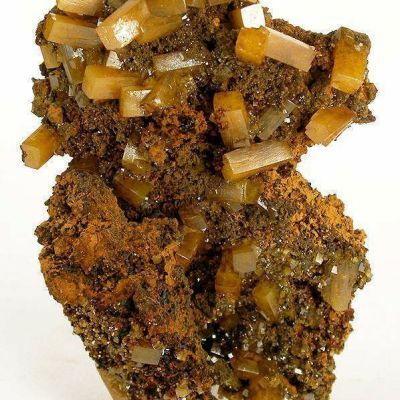 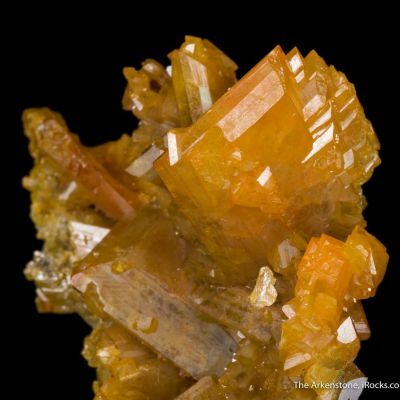 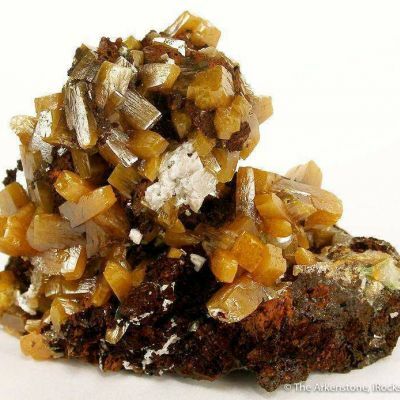 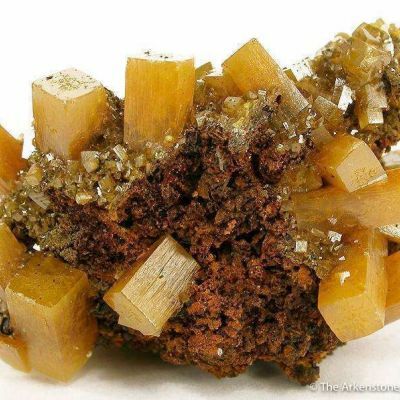 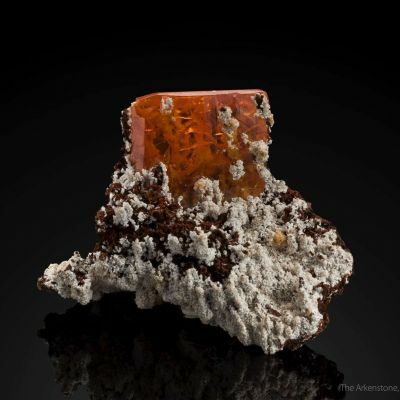 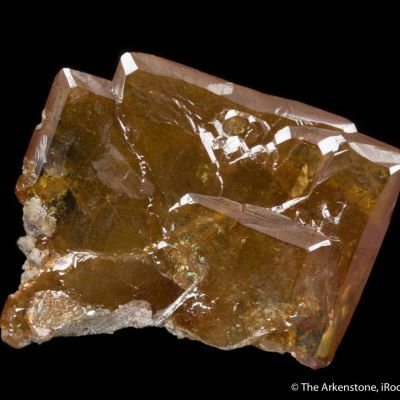 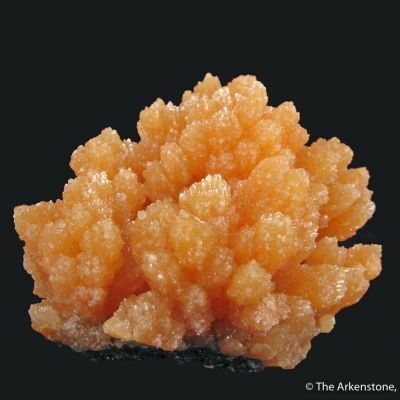 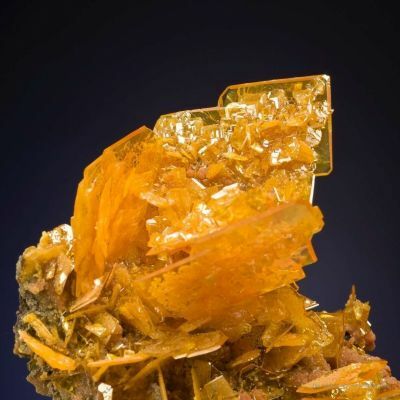 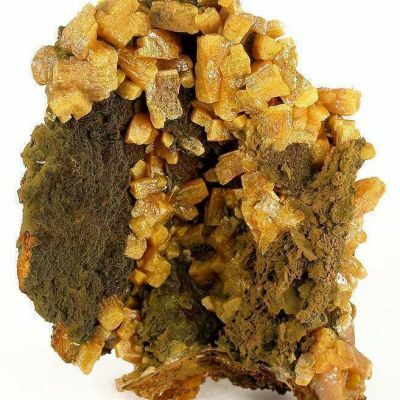 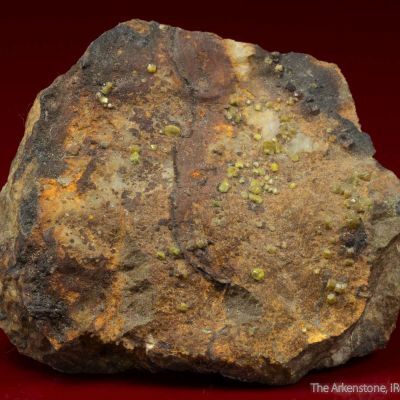 San Francisco Mine Wulfies are known for their gemminess, beveled edges, and association with Mimetite. 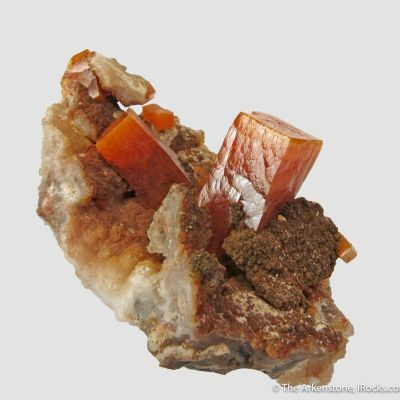 Add in the unusual elongated shape, and this 2.1 cm main crystal is highly unusual! 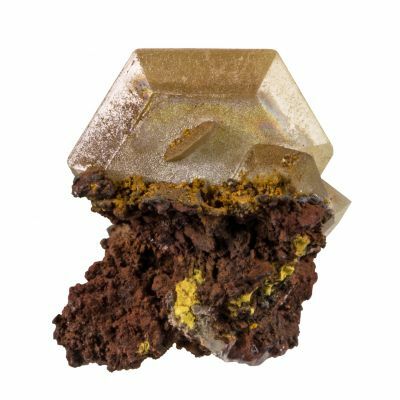 Quite aesthetic.